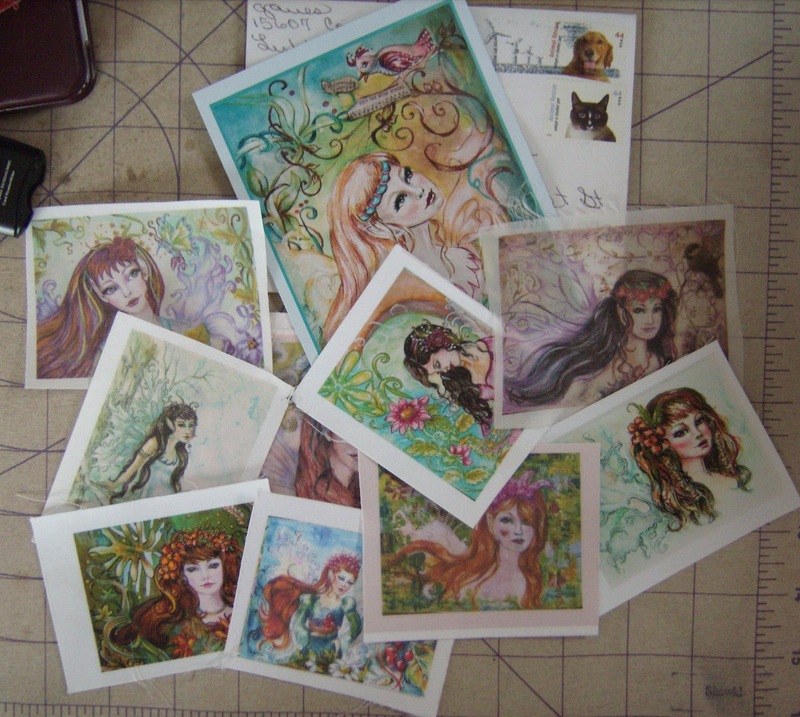 Saturday, the postman brought me these beautiful little silkie mermaids...I'm going to have loads of fun creating with these as my inspiration! Thank you Annette for such a delightful surprise. 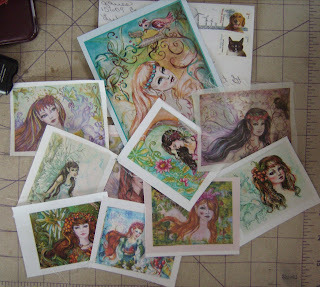 If you have not seen Annette's work before, check out her website...she is a very talented artist! Her gift inspired me to finishe up a little giftee for a friend. 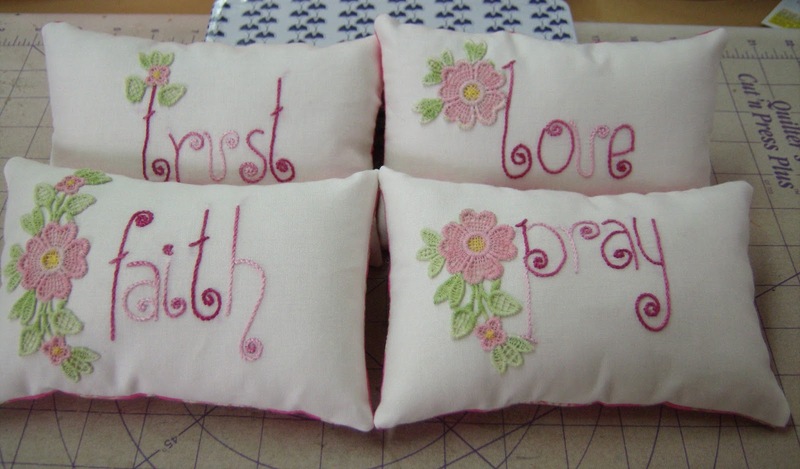 Four little pillows to adorn a shelf, fill a basket, or sprinkle over a bedspread. The words are from my Aussie pal Jenny's blog...Elefantz.